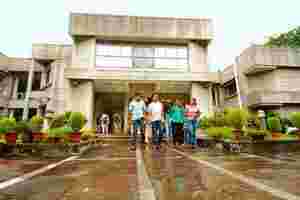 New Delhi: Almost 270,000 students took the Common Admission Test, or CAT, this year, aiming to study at one of the prestigious Indian Institutes of Management (IIM). But with only 1,800 seats and official results not due until 9 January, candidates can’t celebrate just yet. “I was quite nervous for the CAT," says Swati Paliwal, a student in Delhi who hopes to join a business school next year and is also applying to XLRI, Narsee Monjee Institute of Management Studies, or NMIMS, in Mumbai and Symbiosis Institute of Business Management in Pune. “I want to give my best in these exams." Others are considering options that include pursuing an MBA abroad. “I just want to go and do my MBA, so if not the IIMs by any chance, then I will probably go ahead with Singapore," says Adesh Gunjan in Mumbai, who adds that while he is happy with his performance in CAT, he is worried about his score in the English paper. He says that connections outside India might help him find a job after school since many global companies have their regional headquarters in Singapore. John Gabriel, chief marketing officer for test prep company IMS Learning Resources Pvt. Ltd, says he counsels students who are set on the IIMs, but fail to make the cut this time, to try again next year. Beyond the IIMs, others cater to different areas of expertise, he says. For those interested in exports and imports, the Indian Institute of Foreign Trade, or IIFT, is a good option. For those looking to get into human resources management, the Tata Institute of Social Sciences, or Tiss, in Mumbai and XLRI offer better possibilities. For others interested in social organization and non-profit management, Tiss or the Institute of Rural Management Anand, or Irma, in Gujarat are more relevant. While the entrance exams for many institutes are similar, each test is tailored to attract students who best fit its profile. “While the IIMs check out how well you are aware at the interview stage, (others) do it at the exam stage," says R. Shiva Kumar, director of research and development at Career Launcher India Ltd, referring to the current affairs section in the IIFT entrance test. The entrance tests for NMIMS and Symbiosis, he says, focus more on advanced arithmetic. The XAT, which is required for admission to XLRI, requires more analytical thinking and the Joint Management Entrance Test, or JMET, designed for engineers, tests for high school math. “The CAT is essentially class X maths," says Shiva Kumar, “so it is a little more democratic." For MBA aspirants looking abroad, business education experts offer a different frame for students to consider. IMS’ Gabriel describes two types of MBA colleges in India, one that create leaders and the other that act more like finishing schools. For students who can’t crack the first type, Gabriel often steers them to institutes outside the country. Since most B-schools abroad require work experience from applicants, Singapore, in particular, is an appealing choice for Indian candidates. Most are one-year programmes and students are admitted on academic record, rather than entrance tests, so these are more accessible options for fresh graduates. Also, Gabriel says that since Singapore is culturally closer to India, it is a better choice for students who have never been outside the country. “If India’s top business schools total around 5,000 seats," Gabriel says, “for the 5,015th guy, it’s unfortunate, so we talk to them about the world."